宋蓓蓓,包春磊,王炼石,等.树枝状超支化聚酯改性丙 烯酸树脂的合成及其水性涂料性能的研究[J].涂料工业,2011(10):15—20. SONGBei-bei,BAOChun-lei,WANGLian-shi,etal. 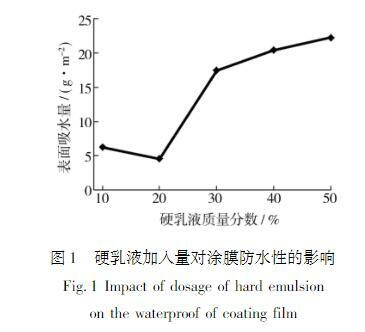 PreparationofDendriticHyperbranchedPolyesterModifiedAcrylicResinandStudyonPropertiesofItsWaterborneCoatingFilms[J].Paint&CoatingIndustry,2011(10): 15—20. 王艺峰,蒋颜平,陈艳军.水性涂料用聚氨酯/丙烯酸酯 复合乳液合成技术的研究[J].湖北大学学报(自然科学 版),2009(2):166—171. 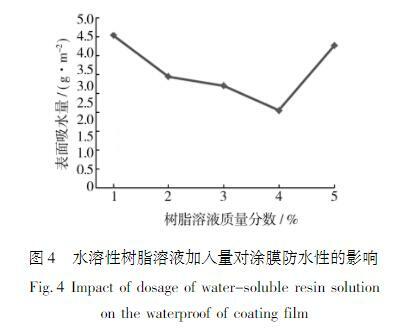 WANGYi-feng,JIANGYan-ping,CHENYan-jun.Re鄄searchontheSyntheticTechnologyofPolyurethane/Acryli鄄chybridEmulsionsUsedinWaterborneCoatings[J].Jour鄄nalofHubeiUniversity(NaturalScience),2009(2):166— 171. 李丹,梁亮,蒋晨,等.环境友好型水性涂料复合膜防腐 性能的研究[J].涂料工业,2010(8):48—51. 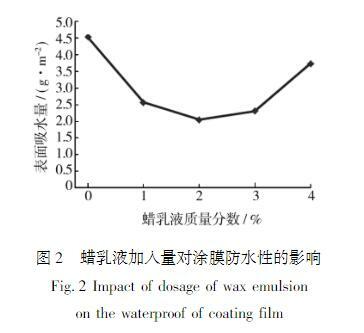 LIDan,LIANGLiang,JIANGChen,etal.StudyonAnticor鄄rosionPerformanceofEnvironmentFriendlyWater-based MultipleCoatings[J].Paint&CoatingsIndustry,2010(8): 48—51.